Update 31/07/2013 – Application Withdrawn. 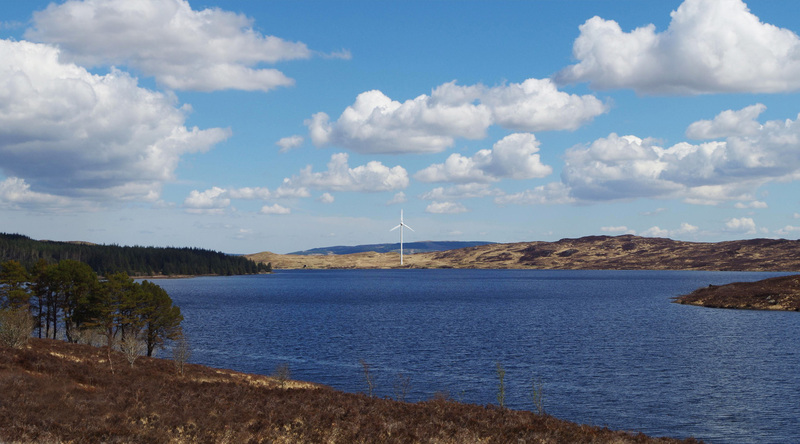 The planning application for the single turbine has been withdrawn and Scottish Water are looking to re-submit an application which will have less ‘visual impact’. The information on this page is per the original submission, and will be updated when more detail about the revised application is known. Scottish Water, working in partnership with Willow Energy, has submitted a planning application to South Ayrshire Council for consent to install one 500kW turbine at Bradan to help power the treatment works. The proposed turbine would sit on a 75m tower with a blade diameter of 54m. Although this is only one turbine, the photomontage above shows how dramatic it is, towering above the skyline. It is only a mile away from the proposed Glenmount site so could set a precedent in the area if it receives planning approval.